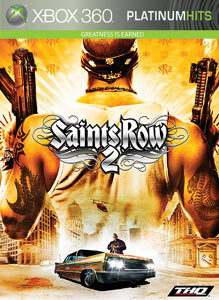 As we wait for Modern Warfare 2, Saints Row 2 fans now have something to keep them busy. If you didn't buy the Ultor Exposed pack for Saints Row 2, you can now buy it at a reduced price. Gold Members of Xbox Live can get the pack for 560 Points instead of 800 Points for this week only. "Disgruntled Ultor microbiologist Tera Patrick holds the key to the corporation’s illicit research activities and revenue generating schemes. Help Tera dismantle the Ultor Corporation by exposing the megacorp's seedy operations to the citizens of Stilwater. Battle through three all new co-op enabled missions. Commandeer new air and ground vehicles including attack aircraft and luxury sports cars. Customize your character with new hairstyles, law enforcement uniforms, and all new clothes. Own the streets in new Strong Arm and Gangsta Brawl multiplayer maps. These are your Saints and this is your city like you’ve never seen it before…fully exposed! "